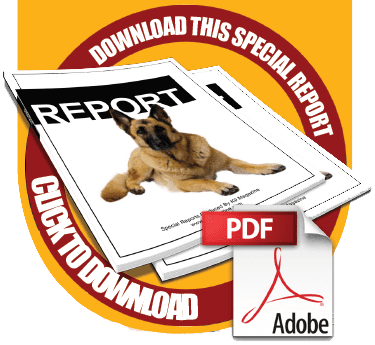 Sign up for the free K9 Magazine newsletter and we’ll send you The 100 Greatest Dog Training Tips of All Time eBook COMPLETELY FREE (or you could buy it on Amazon for 18.99 ). It’s free & can be with you in under 60 seconds! The 100 Greatest Dog Training Tips of All Time, e-Book is an invaluable tool that can not only help you overcome individual problems with your dog but can also show you some new hints and tips from the world’s top dog experts. This collection of tips, advice and personal experience from a collection of experienced dog trainers and owners gives YOU the advantage of tapping in to the combined knowledge of decades of experience and real world knowledge of how to cure, solve and avoid the most common canine behaviour issues. Non K9 Magazine Premier members, you can purchase this book on Amazon for 18.99 - or become a K9 Magazine Premier member and download this eBook instantly and for free as part of your members bonus package!